I really hope more effort is put on Learn Mode feature. Try as I may I can't figure this thing out. The guy said I'm sorry and I was so excited to finally learn how to write (Bhianeh)? in Korean and they didn't added that word! I'm heartbroke is on minute 11:06 in the drama Mama Fairy and the Woodcutter episode 5. The guy clearly said I'm sorry so, why they didn't added in the learn mode tingy? In minute 36:24 for geu rae they put thanks instead of really? or yes? I found bhaine in 37:45 is mi an hae. They really need to make translations uniform and not change like that. no matter how hard we try we can't learn doubting the real meaning of a word. In the same way, "yes" is "neh" but most young people pronounce it a lot like "de". You can clearly hear "neh", though, in official situations or when speaking to elders, where they take more care of their pronounciation. And husband, nampion, is heard as dampion, and crazy jerk, michinom, is heard as bichinom. As if everyone had a blocked nose because of a cold. It's driving me crazy too. Of course geu rae is not "thank you", though! Thanks is good to have those tips that can clear my doubts. They really need to keep the same words in that learn mode so we don't get so confused. Can you please, let me know how Thanks or better yet, Thank you is written in Korean? Thank you again. The official 'Learn Korean' blog by 90 Day Korean, the best place to learn Korean online and make sure you learn Korean fast. Click to see our articles! Want to Learn Korean with Easy, Beginner Lessons? 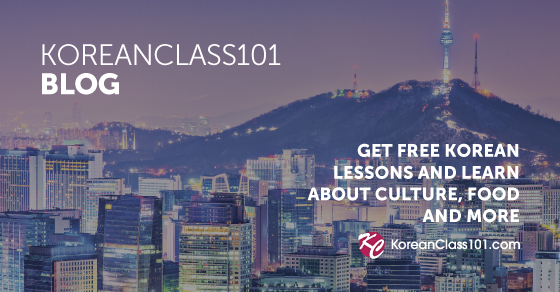 The KoreanClass101 Blog is the place. You get FREE language lessons and learn about culture, food and more. Thank you very much. I really needed this so bad! That's very nice on your part. Wish there was a way the Learn Mode got edited, too. I was watching ''Oh, my Venus'' and saw some words translated wrong (I wrote them down but can't find the paper now). PS. I decided to use the Learn Mode when I get more proficient in the Korean language, since I will be able to differentiate the words more clearly. A very nice person clarified to me that sorry (mian) was there but they typed it together with I see and that's what confused me. If I was more advanced in the Korean language I would have been able to tell that sorry was there, just typed incorrectly. Thanks to irmar, and others who reach out to me and cleared my doubts. Hey! Have you tried Viki Learn yet? It's a language learning site from Viki that helps you learn Korean from K-dramas and has quizzes and vocab lists on top of the Learn Mode functionality. Mama Fairy and the Woodcutter is not on yet but I'm wondering if there are any differences you're seeing with Learn Mode subs and Viki Learn subs. Thank you for the link. I saved the page for the future. I'm at the beginners stage, and viki learn is too advance for me. One day, I will get there. Learn Mode in Mama Fairy was fixed but maybe they are editing everything I'm guessing since you say is not on now. Interesting - why is it too advanced for you? Because I don't recognize the characters. I have never study them and that's something that takes years. They suggest you memorize them but they all look the same to me. Hmm how do you usually study vocabulary then? Talk to me in Korean is on Youtube and is also a viki channel. They have two short and easy videos on the Hangul alphabet. If you watch these videos a few times you will realize you know the alphabet and then you can fully utilize Learn Mode at viki.